On October 20th, Vancouver residents have the opportunity to vote for 1 Mayoral, 10 Councillor, and 7 Park Board candidates. The VSBC asked all 120+ candidates running in this election (with the exception of School Trustee’s) to complete a short survey on skateboarding. 53 candidates responded. We hope the responses they gave will provide you a glimpse into how each candidate, if elected, would work to support skateboarding in Vancouver. Please take the time to consider these survey results, further research the candidates, and vote on October 20th. What value do you consider skateboarders to hold in the city of Vancouver and how would you help advocate for this community’s needs? The current infrastructure of skateboard amenities in Vancouver is not extensive enough to meet the needs of Vancouver’s diverse and burgeoning skateboard community. If elected, how would you help work towards a more extensive network of skateboard parks and other spaces accessible to skateboarders? Do you support the creation of an indoor skateboard facility and if elected, what efforts would you take to making this type of space a reality? The VSBC values the strong working relationship that we have with our elected officials (particularly the Park Board) and hopes to continue this following the election. Thank you to all the candidates who took the time to complete the survey. We look forward to working with you after the election. The VSBC would also like to stress the importance of voting in this election. Vancouver’s 2019-2022 capital plan has put aside $2.4 Million towards building new skateboard and bike parks. Those elected will determine how this money is spent. They also make countless other decisions that shape not only skateboarding in the city, but all facets of our lives. Please take the time to get informed and vote on October 20th. Advanced voting is also available until Oct. 17th. Please share these results, post your favourite quotes, and all that good social network stuff that will encourage others to vote. All Park Board, Councillor, and Mayoral candidates were asked to complete a three-question survey. Responses are direct quotes, no edits were made. If a candidate’s name does not appear below, they Did Not Respond to the survey. The Vancouver Skateboard Coalition is a non-partisan organization and does not endorse any of the candidates. However, the VSBC does encourage the skateboard community and public in Vancouver to consider these responses when voting in the October 20th, 2018 election. “As a Former Youth Program manager and Youth Services Coordinator I am a big proponent of skateboarding and believe skateboarders are a fantastic skills group of individuals that should have an opportunity to practice and show their talents. 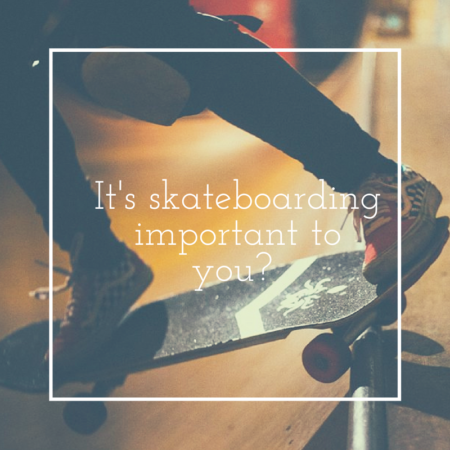 This is also considered by myself as healthy sport for life activity which we should make sure we continuously have suitable and up-to-date facilities for our skateboarding population. I would advocate through a clear and long term facility plan, I would embrace a competitive circuit or Big Event site, I would also like to see more Parks and Rec Programs offered in conjunction with the Skate community. 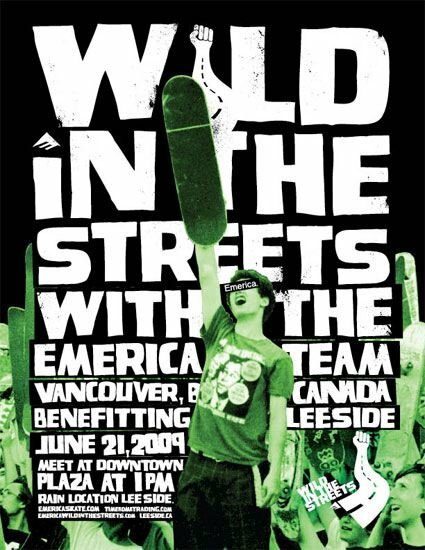 “I would work with the Skateboard community such as I did in the mid 1990’s in further developing the maple Ridge Youth Zone/Indoor Skate park. I believe we should work towards an “X” Games Rec Centre with BMX, Skating and other extreme New/Alternate sports and recreational activities. Perhaps the Old Forum or something like this could be a skate site? “Yes, I was the Youth Services Coordinator for maple Ridge Parks and Recreation and was brought in back in 1993 to expand the “Youth Zone” indoor skate park which I did expand. Vancouver is a “West Coast” City with a long standing skate culture. an indoor skate park is long overdue. “As a low cost activity accessible to kids and adults, skateboarding forms part of a relatively limited pool of inexpensive outdoor activities available to city residents. As a father of five kids myself, finding these sort of activities in the city is critically important, as it’s not financially sustainable for me to put kids in organized programs all day, every day. Also, the sense of belonging that comes from kids finding their “tribe,” so to speak, is invaluable. “Obviously some of this would likely fall to Park Board jurisdiction. But to whatever extent I could, as a City Councillor, foster the creation of additional skateboard parks, I’d be happy to. It’s clear that the under viaduct skateboard park will need to be replaced as we’ll be losing that in the NEFC redevelopment. But beyond that, we should have a plan for further skate park development, much the same way we should have a minimum bike lane grid (such as what HUB has identified via their Ungap the Map initiative). “Exercise and skill development obviously. Community development is another big (but under appreciated by many) value. I have decades long friendships from the China Creek scene, and I know that underlying multi-generational values and teaching like sharing and camaraderie can come from skate parks, where things are a lot less judge-y especially for kids who may not fit in to the “mainstream” mold. “Some of this might be more a Park and Recreation Board than City Council issue. I do see an opportunity to streamline licensing and by-laws for indoor skate areas. also considering skateboard facilities as a public benefit on new developments as applicable. I’m curious about city spots that aren’t parks per se that might be purposed for street skating (like Burnside in Portland), without necessarily folding into Park Board jurisdiction (like the Plaza under the viaduct). “I would support that facility. would be to bring the costing exercise results to the council table for discussion. The objections to be revealed at that point and a strategy developed to address the full set of considerations raised by the council members, and the skateboarders and swimmers for both projects. These considerations will be addressed, shared with the medial, and reported in a standardized format for the council to review. Will be taking a poll of the councillors(who have carried out some consultations with their community contacts) to see if they are willing to back both projects, the pool only, or the skateboard park only, and why they are going in that/those direction(s). “Skateboarding could be seen as both a recreation (tricks) and transportation. Some do one, some do both. As a recreation, skateboarding has a culture of inclusiveness, creativity, and peacefully encouraging sharing space with all abilities that benefits our city. As transportation, skateboarding is healthy, emissions free, low cost, and works well with transit taking up little space on buses and trains (for the uphill portion). As chair of the City’s Active Transportation Policy Council, I strived for bylaw changes for 4-5 yrs that now allow skateboarders to travel in protected “bike” lanes or green lanes. Also, requiring brakes and shin/elbow/wrist pads was removed from the bylaw. I was not successful at legalizing skateboarding in painted bike lanes. “I would remind Park Board Commissioners that skateboarding is in demand in Vancouver and that we need more amenities in our parks to foster this sport. As a City Councillor, I would ask for the City (Engineering Services land) to build wider bike/green lanes and more protected green lanes to encourage skateboarding as transportation. Car-free and traffic calmed streets could also include skate dots (little whooshes for locals to practice on). “On the face it, I can see the merits of an indoor skateboard facility, but before I could offer unqualified support, I would need to know the location, the cost, and consultation with the Community where this indoor facility would be located. “Whenever there is a planning session of any kind that possibly relates to your group, to the best of my ability, you,along with any other group affected by that planning session, would receive an invitation to join the discussion. Notice I did not say watch the discussion. All stakeholders should be heard at any planning session that affects them. Each and every person deserves to be heard in an inclusive society. Your group, as well as any other stakeholders, will be asked come forward to articulate their needs in any given situation and we will work toward solutions that make all parties happy, providing the safety of all remains paramount. “I think it is an amazing idea! Especially with a couple of the primary issues our city is facing. I will explain benefit for each separately, as I see them. First, with our housing situation the way that it is, with so many people not having private space, it is so very important that there are as many healthy public spaces as possible for people to congregate. The popularity of skateboarding, most prominently with, but not limited to younger folks, speaks for itself. With that popularity clearly on the increase, I would have no problem advocating about the need for such a facility. An active Vancouver, is a healthier Vancouver. Second we are in the grips of an overdose crisis/opioid poisoning nightmare that it appears there is no easy solution for. As we fight to keep our citizens alive, an indoor skatepark might just be the healthy activity that allows people to make healthier choices, rain or shine and not end up at a place emotionally where they are using drugs and isolating. Any options that allow for different choices must be considered. This is the second reason that I will be happy to advocate for such a facility if I am elected. If you check my website you will see that everything that I have stated in my answers, I am already talking about, and that the concerns raised by your group will be addressed with ‘our’ platform. This is my city and I love it! Please vote for me and allow me to help turn Vancouver into the most accessible, equitable, awesome city on the planet! “Christine’s 4 year old just got his first skateboard, so she’s excited to be a new member of the skateboarding community. “I truly believe that all skateboarders provide a tremendous value to Vancouver in the areas of athletics, culture, media, and positive youth outreach and confidence building. My official Vancouver Mayoral campaign website already has skateboarding listed as a core priority for the expansion of civic grants and awards. I am not aware of any other Mayoral candidates making such a promise to the Vancouver skateboard community in writing. “If I am elected Mayor of Vancouver I will use my position to promote more skateboard facilities with our independently elected Park Board commissioners. However, due to our rainy climate I would also work towards building a legacy indoor skateboard facility within the City of Vancouver that may operate outside the jurisdiction of the Park Board. “Building a world class indoor skateboard facility would be at the top of my recreational sports agenda for the City of Vancouver. As Mayor of Vancouver I would advance this project through direct partnerships with senior skateboard community leaders such as the VSBC in conjunction with major land developers and through advocating this project to the ten City Councillors that will be elected on October 20th, 2018. The goal would be to find a suitable location to mix this indoor skateboard facility into a new building, or to finance a new stand-alone facility as part of a Community Amenity Contribution / Development Cost Levy. This project would sign a five-ten year partnership with the City of Vancouver to ensure the project has the resources necessary to keep this project running smoothly with insurance, key staff, and instructors. Hopefully the new Park Board would be willing to play a key role in this project. Phase 1 would be focused on building the planning committee. Phase 2 would be advancing the project with the goal of launching the new indoor skateboard facility before 2022. I fully understand that Vancouver is home to some of the best skateboarders in the world and it is about time that Vancouver recognizes this and starts to leverage our local talent to increase youth tourism and to promote healthy active lifestyles. 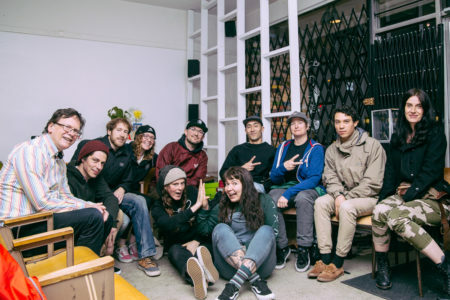 The Vancouver Skateboard Coalition Needs Your Help!!! Please write to our city officials and say why skateboarding is important to you and how Vancouver can better serve its skateboard community. Comments Off on It’s Skateboarding important to you? 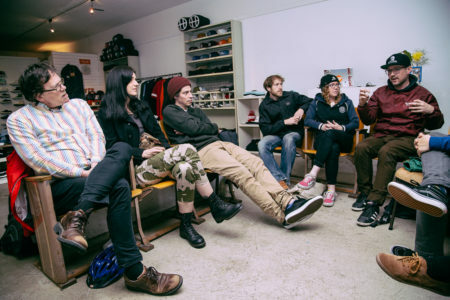 The Vancouver Skate Park Coalition is undergoing a name change to ….. The Vancouver Skateboard Coalition. We at the Vancouver Skateboard Coalition feel that our new chosen name reflects the entire agenda of the Coalition. 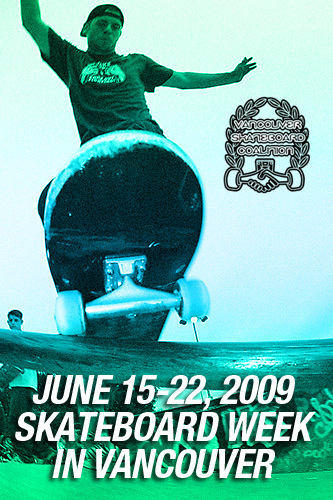 We focus on skateparks and we are also a voice for Skateboarders in Vancouver.